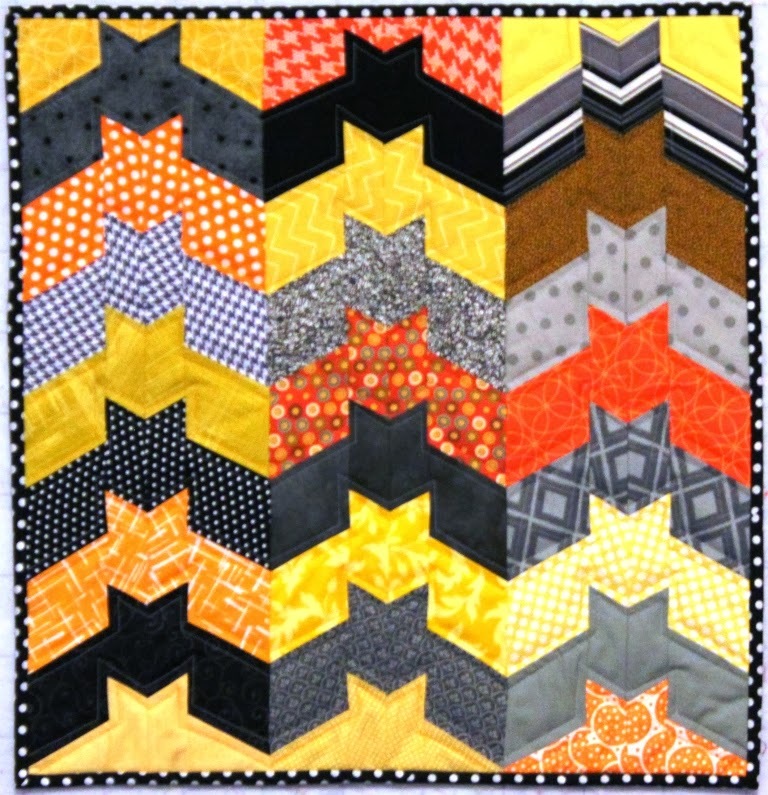 thanks so much to everyone for dropping by during the Wicked blog hop last week - it was such fun to read everyone's comments and feel the love for those crazy batty bats ! I think I've finally worked out Mr Random Generator too - well I can't seem to get the button happening but it does show all the details ! Houston - we have a problem !! seems that my cut and paste doesn't actually work - there were 103 comments and comment 82 was selected by the Random Number Generator ! 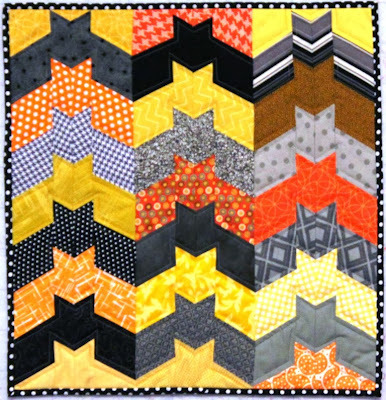 On a whim last Friday I entered this mini quilt into the Show and Tell over at The Quilting Gallery - I just happened to notice a call for Halloween quilts and thought why not ! Thank you so much! It's hard to believe I won such a happy quilt. I'm not waiting until next Halloween to display it either. It's going up on my wall in the sewing room.